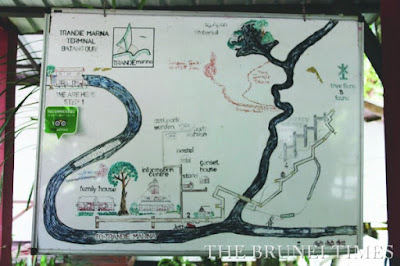 DURING His Majesty Sultan Haji Hassanal Bolkiah Mu’izzaddin Waddaulah, the Sultan and Yang Di-Pertuan of Brunei Darussalam’s New Year titah, the monarch described the government’s ongoing Temburong Bridge construction project as one of the most important developments to date and viewed it as a large-scale modernisation of the sultanate. The bridge, which spans across the waters of Brunei and connects the Brunei-Muara district to Temburong district, will provide greater convenience and potential for tourism. 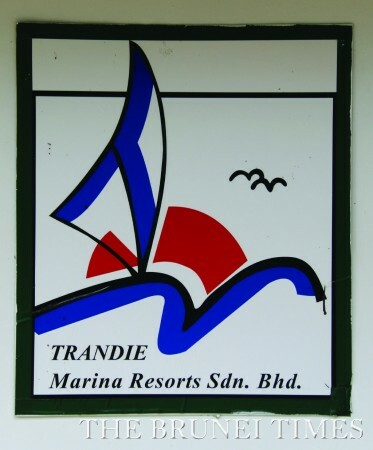 Looking to play a key role in attracting tourist to the district is the first locally and privately owned Trandie Marina Resorts Sdn Bhd (TMR) located at Batang Duri, just few kilometres from Bangar town. Catering to eco-tourism and wilderness activities, the resort, which was founded in 1996, is the poster child for tranquility, serenity as well as adventure and ideal for those seeking repose from everyday life. Blessed with a wide range of natural resources and set among the jungles of Temburong, Trandie Marina Resorts caters to tourists, visitors and corporate bodies that are interested in rain forest adventures, team building, leadership programmes and a weekend getaway. 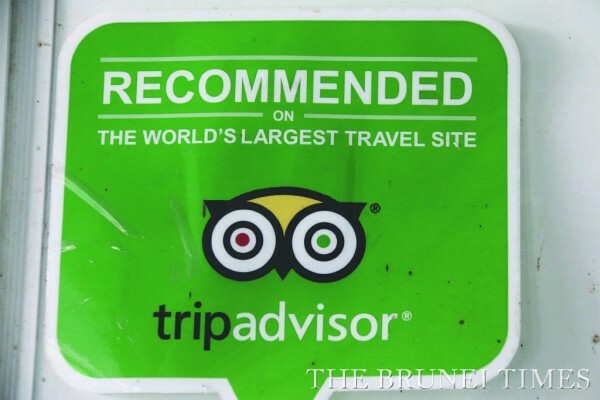 During an interview with The Brunei Times, co-owner and general manager of the resort Hj Hussin Ahmad who was also Brunei’s Shell Petroleum’s first local Head of Training and Advisor in Corporate Affairs said that the resort, which is highly recommended at travel website Tripadvisor, offers a variety of programmes as well as activities for their clients and visitors to choose from. 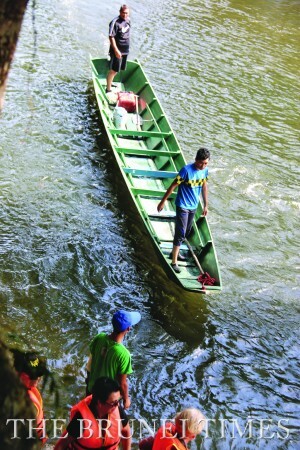 Among the exhilarating activities are the Two Ways Flying Fox across the Temburong River and Junior Flying Fox for children. Hj Hussin said corporate bodies can take conventional meetings to elevated out-of-the-box adventures with the resort’s specially crafted obstacle challenge modules comprising the High Jacob’s descend, high ropes and planks, jelly tower parallel bars, octopus business challenge and the catamaran rail zig-zag run. Meanwhile, two concreted jetties provide safe and comfortable boarding as well as landing while meeting the challenge of the most unpredictable fall and rise of Temburong river water levels. 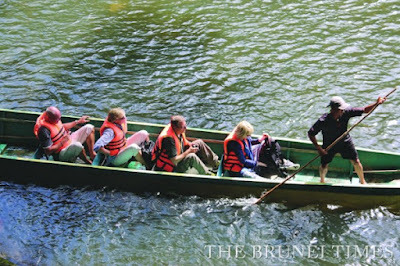 Hj Hussin noted that experienced local guides are at hand to operate the four large and stable Tamuai (boats) which will transport visitors on exciting expeditions to national parks and waterfalls as well as act as safety boats during river water exercises. 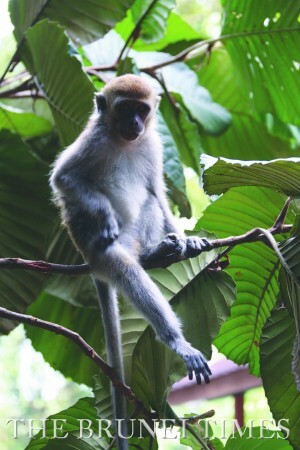 “Our programmes range from a return visit to the Peradayan Forest Reserve, Bukit Patoi Forest Recreation Park, Batu Apoi National Tropical Rain Forest Park and surrounding waterfalls which are said to have water that taste sweeter and better than the best mineral water,” said Hj Hussin. In addition, a two days, one night programme, which combines trekking to Telagong Mountain and jungle camping, or the Sunrise and Sunset programme which is combined with fireflies watching or crocodile spotting is made readily available for thrill-seeking adventurers. Looking to catch a glimpse of nature and beautiful wildlife at its very best, the mangrove safari programme will allow visitors to spot tribes of Proboscis monkeys, inspect fish traps for its catchment of King Prawns and gather Nipah fruits while keeping an eye for other interesting inhabitants of the mangrove forest. “Among our newer programmes are the Four Wheel drive vehicle journey, river crossing, trekking and this also includes abseiling down a hundred feet torrential waterfall. However a minimum number of eight participants are required for the Tabadak Waterfall abseiling activity,” said Hj Hussin. 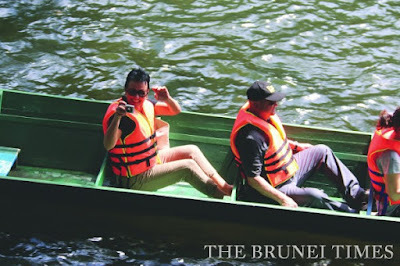 Participants can choose to get wet and experience the beautiful clear waters of the Temburong river with body surfing and tubing or stay dry with the catamaran shuttle crossing and zip line on the Flying Fox back to the resort. 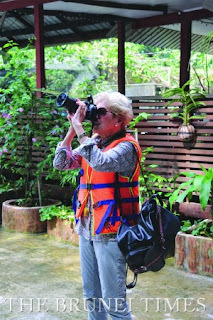 Hj Hussin said that the location of the resort also allows for one of the best bird watching experiences where an enthusiast or observant visitor may hear and spot elusive Gibbons, Hornbills, Egrets, Sparrow Hawks and Frogmouth Owls. 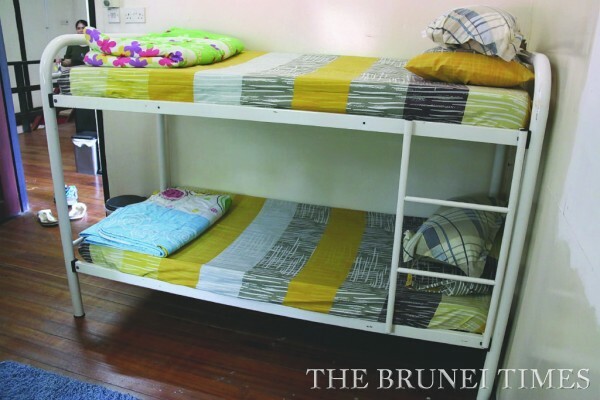 There are a variety of accommodations made available from Self Contained Deluxe rooms with attached showers and toilets to ones accommodating four to six people, large dormitory student rooms with bunker beds and even outdoor camping. 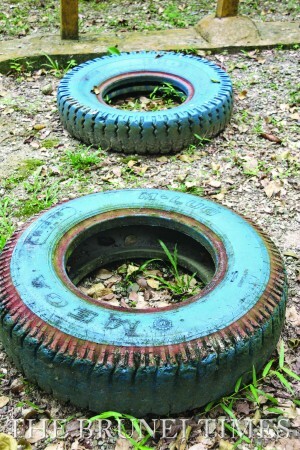 “The camping site provides a safe environment which is housed within the vicinity of our main chalets. 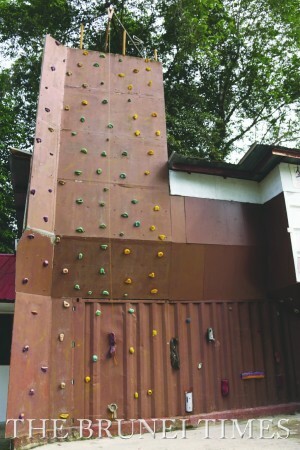 It has a platform and roof to safeguard from animals, insects and heavy rain while four showers and toilets are located at the site,” said Hj Hussin. 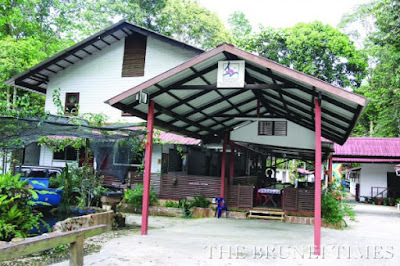 To entertain its visitors, the resort has constructed two gardens comprising orchids and medicinal plants such as Tongkat Ali, Misai Kuching and a variety of gingers. “The wild orchids of Brunei and Borneo bloom from March to April and August to September. We have also built a high tree house, which is ideal for visitors to bask in the beauty of the flowers and the surrounding area,” he said. The resort’s chef also prepares delicious meals for visitors and this covers grills, western, Asian and local dishes. 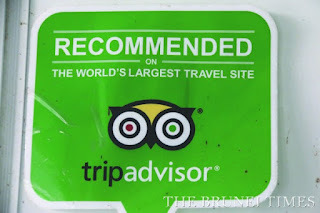 “We also provide a vegetarian menu as well as the district’s iconic dishes which include Udang Galah (King Prawns), wajid (brown sticky rice) and cendol (dessert) upon request,” he said. 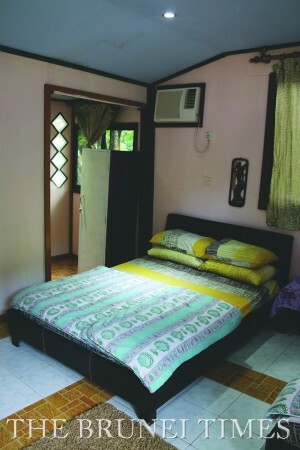 Hj Hussin added that whether you are an adventurer at heart seeking new experiences, an urban dweller looking to escape city life for the weekend or even an experienced traveller searching for the best of what Brunei has to offer: there is something for each of you here at beautiful Trandie Marina Resorts. For more information, please call Hj Hussin Ahmad at 8746332, Cynthia at 899 6067, Hj Moksin at 3525 007 or check out the website at tmr-brunei.com.